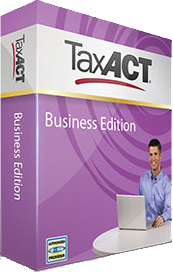 Save $10.00 on TaxACT Bundles. If you’re planning on doing your personal and business taxes this year together, then you can save $10.00 on any of the three TaxACT bundles. So you’ll get TaxACT Business for the 2014 tax year (choose 1065, 1120 or 1120S forms for Partnerships, LLC, C or S corporations) and TaxACT Deluxe, State 1040, 1 Federal e-file, and free phone support. You’ll be able to either download the software or order the CD that’s mailed out to you (extra shipping chafes may apply with this option). No extra coupon or promo codes are needed for this offer – Just follow the above link to activate the discount offer. You may qualify for free TaxACT Business. If you are a sole proprietor, self-employed or a single-member LLC, then you may qualify for the free version of TaxACT Business. The 1040 Schedule C Federal Edition is free and if you need to file a State return it’s only $12.99 extra. You also get a 100% accuracy guarantee, free tax help and audit support. Be sure to take a look at the details offered at TaxACT for more info. 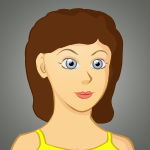 Most versions will let you start for free so you’ll be able to get a sense on how the program works. See taxact.com for full offer details. Try TaxACT Business for free. If you haven’t tried TaxACT before – maybe you’re doing your own small business taxes for the first time this year or switching from another tax solution – then you’ll be able to start your tax return for free to get a sense on how the software works. Head on over to the business section at TaxACT and they will guide you on which versions you need and the forms that you need to file. Then if you decide to file, you can make your purchase. If not, it didn’t cost you anything to try the new features and capabilities. TaxACT 2016 Release Date Alerts! VIDEO: TaxACT Business 2015 - Saving with a coupon from SoftwareVoucher.com. Length: 3:01.